I am happy to say that I finally had a full month of being back on my normal blogging schedule for posts. September was definitely an interesting month. The second week of the month I was super productive for the blog and was a bit ahead of where I wanted to be. As of right now though, I’m a bit behind. Usually I have all of my posts for the next month scheduled before the month begins. In the third week of September, I had a training that I went to for two days and had to pack and get things ready around the house. Then half way through the week I left for a trip to see my grandmother. That week was a great week but left no time to work on the blog. The week that I was back was the last week of the month which left me not much brainpower to put into the blog after work. I did manage to get quite a few things done around the house though. This month was a bit discouraging for page views. My page views decreased from last month. I imagine this is because while I was on vacation I didn’t even touch the blog. Hopefully I will do better on this next month. 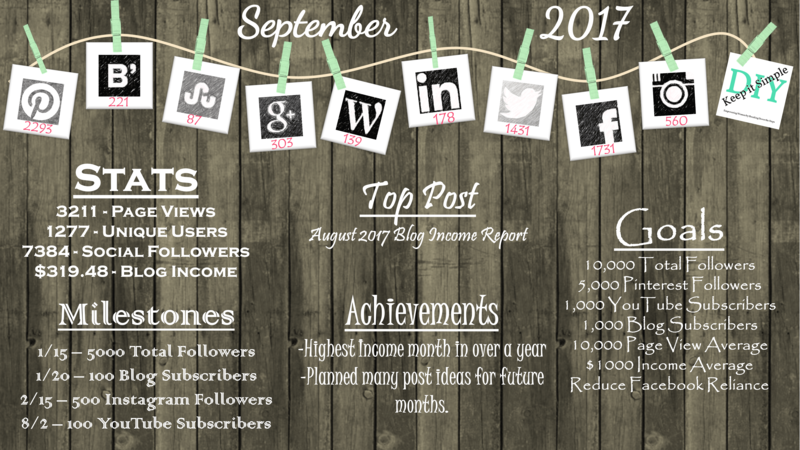 September was a great month for the blog financially though! 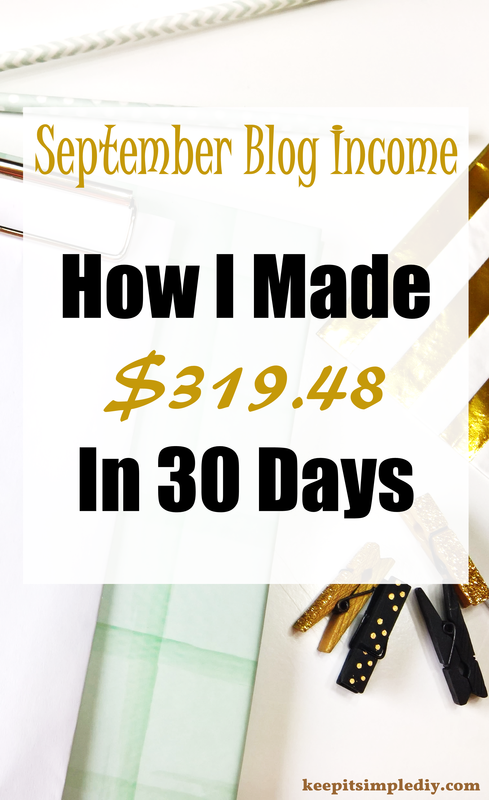 This was my second highest month for income since I started blogging. Huge win! I mentioned last month that I had sort of hit a wall with updating the theme for my blog. This month, I’m happy to say that I was able to climb over that wall and get a new theme up and running! This theme is a lot less chunky in terms of style and seems just more ‘simple’. I also like that it has a bit of character in the way the posts look when they are in a list. This month I posted the first sponsored posts on my blog that came from emails rather than a sponsored post website (like Linquia). It’s very exciting that people are reaching out to me and wanting to sponsor a post or guest post. I’ve even had a request for ad space on the blog which is the sponsored ad section in the income report above. I also submitted the form to get an EIN in September but I haven’t received a response yet. Since I had previously had a company with the same name, I was unable to get the EIN online again. A bummer but hopefully it works out! That is awesome that it was your highest income month this year! Keep up the great work! I LOVE reading income reports, so thank you for sharing this! Also I love your new theme. Simple is better! Keep up the good work! It’s always a good feeling when you’re bringing in that cashflow! Keep up the good work! How motivating for new bloggers like myself! I love income reports! I love seeing how bloggers are making their money. I’m still new. Only 4 months in. How do you get involved with sponsorships? Awesome job for your September incoming, thanks for sharing! I look forward to seeing how well you did in October. How did you come up with your milestones? I note each social site at 100, 500, and 5000 followers as well as combined totals.